Despite their promise of a revolutionary new fundraising technology, initial coin offerings (ICOs) suffer from major internal contradictions, says one cryptocurrency market observer. In an exclusive interview with New Money Review, Giacomo Zucco explains why he believes ICOs have not yet been able to combine more than two of three important characteristics: a convincing investment case, cryptocurrency-based decentralisation and a permanent organisational structure. Zucco, whose interview is featured in our latest podcast, is a theoretical physicist and chief executive of consultancy BHB Network. ICOs’ name suggests a close link with the initial public offering (IPO) mechanism traditionally used to sell shares to investors on public markets. Despite a summer lull in fundraising, ICOs had raised a collective $18bn by August 10 2018, compared to $3.7bn in the whole of 2017, according to CoinSchedule. For comparison, IPOs raised $94.3bn in the first six months of 2018, according to EY. In the interview, Zucco outlines a conceptual framework he has developed, called the ‘ICO triangle’. 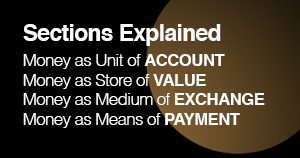 Under this framework, he modifies the references attached to each of the three letters in the ICO acronym. “In my framework the ‘I’ of ‘Initial’ stands for investment,” Zucco says. “The ‘C’ stands for a cryptocurrency-based, censorship-resistant, decentralised concept,” Zucco continues. In practice, says Zucco, no ICO has yet been able to offer all three of these features, only two at a time. Nevertheless, he argues, many of those raising funds through sales of cryptocurrency tokens have promised more than they can deliver. “The ICO movement has been based on the pretence that you can offer all three of these characteristics,” he says. Zucco subdivides the history of the ICO market into projects he believes offered different pairs of characteristics: IC, CO and OI. “The tokens of the early ICO projects—what I call ICs—were exchanged between unknown people on the dark web, or at least outside any regulated markets,” says Zucco. But, says Zucco, these early token-based fundraising projects soon ran into a serious practical constraint, limiting their appeal. “The problem facing the first ICOs was that they couldn’t exist without an official organisational form,” says Zucco. And so, says Zucco, those taking part in a ground-breaking 2016 ICO decided against anonymity and to raise funds through an official entity. The Decentralised Autonomous Organisation (or ‘DAO’), an entity designed to operate via so-called smart contracts, was launched in May 2016, raising around $150m via a token sale that was the biggest ICO to date. All the DAO’s financial transactions and rules were intended to be recorded on the ethereum blockchain by means of the smart contracts, making this project a paragon of corporate transparency. Ethereum, launched a year earlier, allows for a fully-featured programming language to be run on its blockchain. This makes the ethereum network more suitable for a broader range of record-keeping functions than the bitcoin blockchain. However, adding complexity to the protocol makes ethereum theoretically less secure than bitcoin. This vulnerability was exploited by hackers who stole ether tokens worth more than $50m from the DAO in June 2016. Controversially, the ethereum community then decided to split the blockchain into two, with one fork (under the name ethereum, with ticker symbol ETH) restoring the blockchain to its state prior to the launch of the DAO. This fork had the effect of returning stolen tokens to their previous holders. The other side of the fork, under the name ethereum classic (ETC), represented those rejecting the change of transaction history: those believing that the principle of “code is law” was more important than the wrong done to those suffering the theft. In the podcast, Zucco comments on the decision by the promoters of the DAO to do so under their real names. “Unlike bitcoin, which was presented by Satoshi Nakamoto to a mailing list of crypto-nerds and then grew slowly but organically, the DAO guys didn’t want to wait,” says Zucco. However, says Zucco, ICOs that combine blockchain-based technology with an official issuing entity have an inherent problem: their tokens cannot be expected to appreciate in price. “The CO model is just a pre-purchase of a product or service from the company you are funding via the ICO,” says Zucco. In the podcast, Zucco explains how he views the two major ‘smart contracting’ blockchains, ethereum and EOS, in the framework of the ICO triangle. Both ethereum and EOS were funded by their own token sales. “Ethereum itself was something between the IC and CO models,” says Zucco. In June 2018, William Hinman, director of the division of corporate finance at the US Securities and Exchange Commission (SEC), said that the securities regulator did not regard ether tokens in their current state as a security. However, Hinman made it clear that this decision did not necessarily apply to the original ethereum token offering. “Putting aside the fundraising that accompanied the creation of ether, based on my understanding of the present state of ether, the ethereum network and its decentralized structure, current offers and sales of ether are not securities transactions,” said Hinman in a public address. EOS, which raised $4bn in June 2018 in the largest token-based fundraising seen to date, represents yet another form of ICO, argues Zucco. Similar to ethereum, EOS advertises itself as a blockchain for use in developing smart (self-executing, code-based) contracts. “EOS is on the border between the CO model and the OI model,” says Zucco. He argues that, mindful of the debate over cryptocurrency regulation, the promoters of EOS wanted to stay one step ahead of securities law. “The idea is, ‘OK, SEC, I know that if I call this a security, you will try to regulate me’. I also know that if this is a utility token, there is no reason to buy it,” Zucco tells podcast listeners. As a result, says Zucco, the fundraisers behind EOS came up with a decision reminiscent of the prospectus language used for a notorious share issue during the 1720 South Sea Bubble: “For carrying-on an undertaking of great advantage but no-one to know what it is”. EOS tokens have fallen from a price of over $15 on June 2 to under $5 on August 12. The other side of the ICO triangle—projects combining an investment case and an official fundraising entity, but without a decentralised, censorship-resistant network—closely resemble traditional share sales, says Zucco. Instead, OI-type token issues would be recorded on a more centralised type of blockchain, perhaps one organised by traditional stock exchanges or securities settlement systems. But the costs of using a centralised blockchain to issue shares may not justify the potential advantages, such as improved transparency, he says. “ICOs on the OI side of the triangle address the challenge associated with the lack of a legal organisation and aim to comply with securities law,” says Zucco. There may still be a promising future for ICOs, says Zucco, but it’s unlikely to be one securities market regulators and governments will welcome. “Theoretically, the ICO model could be revolutionary. An example would be a real, unregulated and unstoppable dark market securities sale, which combines the I and C of the triangle,” says Zucco. More generally, says Zucco, the ICO market has got ahead of itself. “ICOs are trying to do for venture capital, shares, securities, equity finance and crowdfunding what bitcoin did for money,” Zucco says. And the hype has, unsurprisingly, created fertile ground for fraudulent fundraising schemes, says Zucco. 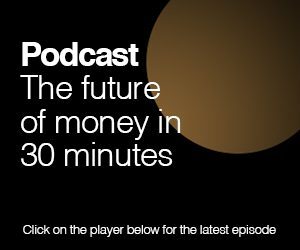 To listen to Giacomo Zucco’s interview with New Money Review, click here.